We’ve all done it. 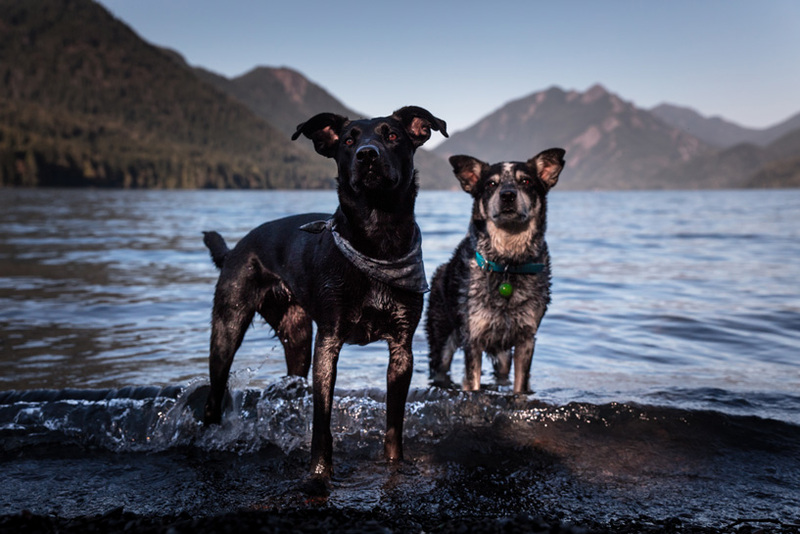 You’re out exploring with your best four-legged friend – camping, hiking, fishing or simply enjoying the outdoors – and you pull out a bag of beef jerky from your pack for a quick snack. As you chow down on some delicious meaty goodness, you mindlessly share piece after piece with your furry friend. Seems harmless, right? Benevolent, even. The answer to that question, however, may surprise you. If you’re looking for the most common, simplistic answer: NO. However, nothing in life – or in pet ownership – is that simple. While any veterinarian’s knee-jerk reaction to this question is typically a resounding no, whether or not your dog can have beef jerky depends entirely on the jerky. Most people try to feed their dogs store-bought jerky, which is usually over-processed, contains added flavoring ingredients and is packed full of sodium. Added ingredients, such as onion and garlic, are toxic to dogs and can severely disrupt their digestive system. While these flavorful extras may make your pooch drool, even small amounts can wreak havoc in terms of their short and long-term health. As for sodium levels, unless you’re eating premium jerky with a lower salt content, they’re typically through the roof. The recommended daily sodium intake for people is around 1,500 mg, but dogs should not consume even one tenth of that – less than 100 mg per day, according to the Board on Agriculture and Natural Resources. To give a little perspective, one piece of beef jerky typically contains over 400 mg of sodium. So, while jerky in moderation is perfectly safe for us, the salt content alone is toxic for our four-legged friends. Moral of the story? Store-bought beef jerky should never be used as a dog snack. As mentioned earlier in response to the “Can dogs eat beef jerky?” question, it ultimately depends on the jerky. While jerky intended for human consumption is not recommended, there is such a thing as beef jerky for dogs. Just as with anything in life, however, not jerky dog treats are created equal. We all want the best for our pets, and that includes what we put in their bodies. To ensure your dog is eating high-quality treats, look for jerky for dogs that is 100% meat with no artificial additives, hormones, corn or grains. The more natural the jerky, the better the dog treat. So, while you should never share your jerky with your pooch, there are healthy jerky options out there for man’s best friend. You just have to know where to look.